I was wanting to learn more about the Eastern Orthodox and Oriental Orthodox view on eternity. How do you define it? The reason I ask is because the discussion on God's essence and energies and how that relates to theosis got me to thinking about the subject of eternity. As a former Protestant and now as a Catholic, I have always understood eternity to be not linear (as in endless days upon days and years upon years) which would indicate that eternity was still within the bounds of time. I was always taught that eternity is outside of time, and that God exists in this state of the eternal now. The beginning and the end exist to God all at once since He is not limited by time, which is part of His creation. This seems contrary to the concept of theosis continuing in heaven and the idea that we draw ever closer to God's energies (and Fr. Ambrose's analogy of a train ride). If that is the case would that not indicate that eternity existed within the bounds of time since there is a clear ongoing process (which indicates time)? In eternity as I have come to understand it, nothing can change because everything just is as it is. I am just trying to get a feel for how the Orthodox (Eastern and Oriental) define eternity. "Angels and men both participate in time and in the aeon, but in a different fashion. While the human condition is temporal, but in a time made intelligible by the aeon, the angels have known the free choice of time only at the moment of their creation: a sort of instantaneous temporality whence they emerge for an aeon of praise and service, or of revolt and hate. A process, however, exists in the aeon, since the angelic nature can grow ceaselessly with the acquisition of eternal benefits, but without temporal succession. Thus the angels present themselves as intelligible universes who participate in the organizing function of aeonic eternity. As for divine eternity, that can be defined neither as the change belonging to time nor as the immutability belonging to the aeon. It transcends them both. The recourse necessary to apophasis forbids us to think of the living God according to the eternity of mathematical laws. Thus Orthodox theology does not know of any uncreated intelligible. Otherwise, corporeality, alone created, would appear as a relative evil. The uncreated surpasses all oppositions, notabl those of the intelligible and the sensible, of the temporal and the eternal. And the problem of time brings us back to this nothingness from which the diving will raises us to introduce an other-than-God into eternity." This goes to that ontological gap between created and Creator that we touched on in the discussion of theosis. God's eternity has no beginning. In heaven, we will exist in eternity, but our experience of that eternity will always be fundamentally different from God's, because we have a beginning. There is always a 'before' for us. What eternity will actually be is basically inconceivable to us as we exist in this world, because we cannot conceive of something 'without time'--above you try to get there with the idea 'nothing can change because everything just is', but that's not 'without time', that's just frozen time. Even if we set aside the Eastern understanding of theosis with its eternal progress towards the Infinite, the Bible and the Fathers clearly speak of the angels in heaven continuously praising God--but praise is an action and action requires sequence (i.e., time). The angels sing "Holy, Holy, Holy"--and so there is a first Holy, then a second Holy and then a third Holy. The first Holy comes before the others, the third comes after. Which is not say that it will actually be 'time' as we think of it, with the ability to count off minutes, days, centuries, etc. But rather that the idea of heaven as a static 'just is' cannot accurately describe what the experience of eternity will actually entail. It's interesting that the trees of heaven described in Revelation bloom and bear fruit. What eternity will actually be is basically inconceivable to us as we exist in this world, because we cannot conceive of something 'without time'--above you try to get there with the idea 'nothing can change because everything just is', but that's not 'without time', that's just frozen time. I agree that eternity is inconceivable, or at least partially inconceivable. What I am curious about is how/why the East believed it was possible to attain such a specific knowledge of the nature of God (past the dogma of the Holy Trinity), such as that He consists of an essence and energies. Is this supposed to be taken literally to mean that there are processes and time elapsed changes in eternity, Father? I honestly do not know. There may well be patristic commentaries on the passage? although the East was very slow to accept Revelation into canonical scripture. What I am curious about is how/why the East believed it was possible to attain such a specific knowledge of the nature of God (past the dogma of the Holy Trinity), such as that He consists of an essence and energies. That's fascinating. How much longer did it take the East to accept Revelation as canonical in comparison to the West, and what was their reasoning for their hesitation? "In the late 380s, Gregory of Nazianzus produced a canon in verse which agreed with that of his contemporary Athanasius, other than placing the "Catholic Epistles" after the Pauline Epistles and omitting Revelation. This list was ratified by the Synod of Trullo of 692." Thus, from the 4th century, there existed unanimity in the West concerning the New Testament canon (as it is today), and by the 5th century the East, with a few exceptions, had come to accept the Book of Revelation and thus had come into harmony on the matter of the canon, at least for the New Testament." Just a note--several Bible canons (which conflict with one another) were ratified by the 2nd canon at the Council of Trullo (/6th Ecumenical). 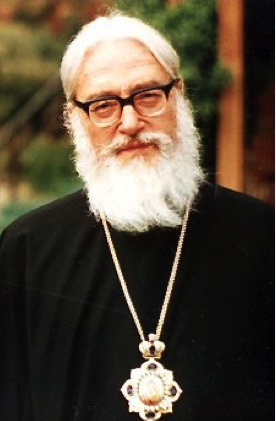 The fact that you keep using terminology like 'consists of' (which Orthodoxy would absolutely reject) or that you think the distinction between Essence and Energies is about 'specific knowledge of the nature of God' continues to show that you are simply not understanding what that distinction means in Orthodox theology. In fact, the distinction is about the inability to have specific knowledge of the nature of God (past the revelation of the Trinity). As Fr. John Meyendorff succinctly put it, "The distinction in God between "essence" and "energy" is nothing but a way of saying that the Transcendent God remains transcendent, as He also communicates Himself to humanity." (Also, it's true that St. Athanasius, St. Basil, St. Gregory of Nyssa, St. Maximus, St. John of Damascus, etc are 'Greek Fathers', but they are pre-schism saints recognized in Rome as well. It's not a matter of 'the East' recognizing a distinction but of the Fathers of the universal Church whose work underlies the first 7 Ecumenical Councils recognizing the distinction). And this, again, is not a trivial matter that we read that a river goes forth from the throne of God. For you read the words of the Evangelist John to this purport: "And He showed me a river of living water, bright as crystal, proceeding out of the throne of God and of the Lamb. In the midst of the street thereof, and on either side, was the tree of life, bearing twelve kinds of fruits, yielding its fruit every month, and the leaves of the tree were for the healing of all nations." (Rev. 22:1-2) This is certainly the River proceeding from the throne of God, that is, the Holy Spirit, Whom he drinks who believes in Christ, as He Himself says: "If any man thirst, let him come to Me and drink. He that believeth on Me, as saith the Scripture, out of his belly shall flow rivers of living water. But this spoke He of the Spirit." (John 7:37-38) Therefore the river is the Spirit. This, then, is in the throne of God, for the water washes not the throne of God. Then, whatever you may understand by that water, David said not that it was above the throne of God, but above the heavens, for it is written: "Let the waters which are above the heavens praise the Name of the Lord." (Ps. 148:4) Let them praise, he says, not let it praise. For if he had intended us to understand the element of water, he would certainly have said, Let it praise, but by using the plural he intended the Powers to be understood. And what wonder is it if the Holy Spirit is in the throne of God, since the kingdom of God itself is the work of the Holy Spirit, as it is written: "For the kingdom of God is not meat and drink, but righteousness and peace and joy in the Holy Spirit." (Rom. 14:17) And when the Saviour Himself says, "Every kingdom divided against itself shall be destroyed," (Matt. 12:25) by adding afterwards, "But if I, by the Spirit of God, cast out devils, without doubt the kingdom of God is come upon you," (Matt. 12:27) He shows that the kingdom of God is held undivided by Himself and by the Spirit. But what is more foolish than for any one to deny that the Holy Spirit reigns together with Christ when the Apostle says that even we shall reign together with Christ in the kingdom of Christ: "If we are dead with Him, we shall also live with Him; if we endure, we shall also reign with Him." (2 Tim. 2:11-12) But we by adoption, He by power; we by grace, He by nature. or that you think the distinction between Essence and Energies is about 'specific knowledge of the nature of God' continues to show that you are simply not understanding what that distinction means in Orthodox theology. But is not the distinction saying something about God nonetheless, even if it's a negative? An excellent question. I would suggest it is not about specific knowledge of His nature or how God is constituted; according to Orthodoxy the only way to know God is to love Him. "For we explain not what God is [i.e. God's nature or essence] but candidly confess that we have not exact knowledge concerning Him. For in what concerns God to confess our ignorance is the best knowledge" (St. Cyril , Catechetical Homilies, VI.2 (c. AD 335). Knowledge of God is neither apart from loving God (1 Jn 4:8) or the Son's revealing of God: "No one knows the Father except the Son and those to whom the Son chooses to reveal him" (Matt 11:27; cf. John 14:21: "He who has My commandments and keeps them is the one who loves Me; and he who loves Me will be loved by My Father, and I will love him and will disclose Myself to him"). The God of Moses related to Moses personally, whereas e.g. Aristotle related a concept of God through the intellect alone. As St. John tells us we cannot know God except by loving Him, St. Paul tells us we cannot know Him through worldly wisdom: "For since in the wisdom of God the world through its wisdom did not come to know God, God was well-pleased through the foolishness of the message preached to save those who believe. Jews demand miraculous signs and Greeks look for wisdom, but we preach Christ crucified: a stumbling block to Jews and foolishness to Gentiles,but to those whom God has called, both Jews and Greeks, Christ the power of God and the wisdom of God" (1 Corinthians 1:21ff). "Christ Himself revealed to us the method. He told us that not only are we capable of exploring God, but we can also live with Him, become one with Him. And the organ by which we can achieve that is neither our senses nor our logic but our hearts" -Fr. Maximos, in The Mountain of Silence Orthodox tradition and experience draws a definite distinction between experience and ideological belief. God may be seen in creation (Rom 1) but not through natural reason apart from revelation (natural revelation vs. natural theology). One can become suddenly darkened with respect to this natural revelation (Rom 1:21 -notice St. Paul emphasizes it is the hearts of those who choose to reject the revealing God that are first darkened). Each of God’s revelations in the Old Testament bear a personal nature. God is revealed to humanity not as an abstract force, but as a living Being, Who can speak, hear, see, think and help. God takes a vital and active part in the life of the Israelites. When Moses leads the people out of Egypt into the Promised Land, God Himself goes ahead of them in the form of a column of fire. God abides among the people, converses with them and lives in the house that they built for Him. When King Solomon completed the building of the Temple, he called upon God to live there. God, Who abides in darkness, Who is surrounded by great mystery, Whom heaven and earth, that is, the visible and invisible world, cannot contain, comes down to people and lives where they want Him to live, where they have set aside a place for Him. This is the most striking thing about the religion of revelation: God remains under the veil of a mystery, remains unknown and yet at the same time He is so close to people that they can call Him ‘our God’ and ‘my God’. It is here that we encounter the gulf between Divine revelation and the achievements of human thought: the God of the philosophers remains abstract and lifeless, whereas the God of revelation is a living, close and personal God. Both ways lead us to understand that God is incomprehensible and that He is a mystery; yet philosophy abandons us at the foothills of the mountain, forbidding us to ascend further, whereas religion leads us up to the heights where God abides in darkness, it draws us into the cloud of unknowing where beyond all words and rational deductions it opens up before us the mystery of God. ‘How can we speak of the Divine names? How can we do this if the Transcendent surpasses all discourse and all knowledge..? How can we enter upon this undertaking if the Godhead is superior to being and is unspeakable and unnameable?’, says Dionysius the Areopagite. At the same time, God, being totally transcendent, is present in the created world and revealed through it. All creation longs for God, and more especially, we humans crave for knowledge of Him. Therefore God is to be praised both ‘by every name’ and ‘as the Nameless One’. Nameless in His essence, God is variously named by humanity when He reveals Himself to us. Some of the names attributed to God emphasize His superiority over the visible world; His power, dominion and kingly dignity. The name Lord (Greek, Kyrios) signifies the supreme dominion of God not only over His chosen people, but also over the whole world. The name of Almighty (Greek, Pantokrator) signifies that God holds all things in His hand; He upholds the world and its order. The names Holy, ‘Holy Place’, Holiness, Sanctification, Good and Goodness indicate that God not only contains within Himself the whole plenitude of goodness and holiness, but He also pours out this goodness onto all of His creatures, sanctifying them. In Holy Scripture there are other attributions to God: Wisdom, Truth, Light, Life, Salvation, Atonement, Deliverance, Resurrection, Righteousness, Love. There are in Scripture a number of names for God taken from nature. These do not attempt to define either His characteristics or His attributes, but are rather symbols and analogies. God is compared with the sun, the stars, fire, wind, water, dew, cloud, stone, cliff and fragrance. Christ Himself is spoken of as Shepherd, Lamb, Way, Door. All of these epithets, simple and concrete, are borrowed from everyday reality and life. But, as in Christ’s parables of the pearl, tree, leaven and seeds, we discern a hidden meaning that is infinitely greater and more significant. Holy Scripture speaks of God as a being with human form having a face, eyes, ears, hands, shoulders, wings, legs and breath. It is said that God turns around and turns away, recollects and forgets, becomes angry and calms down, is surprised, sorrows, hates, walks and hears. Fundamental to this anthropomorphism is the experience of a personal encounter with God as a living being. In order to express this experience we have come to use earthly words and images. ‘Father’ is the traditional, biblical name for God. His children are the people of Israel: ‘For Thou art our Father, though Abraham does not know us and Israel does not acknowledge us; Thou, O Lord art our Father, our Redeemer from of old is Thy name’ (Is.63:16). The fatherhood of God is, of course, not a matter of maleness for there is no gender in the Divinity. It is important to remember, however, that the name ‘Father’ was not simply applied by humans to the Divinity: it is the very name with which God opened Himself to the people of Israel. Male imagery was not therefore imposed on God, rather God Himself chose it in His revelation to humans (cf. 2 Sam.7:14; 1 Chron.17:13; Jer.3:19; 31:9). The three Persons of the Holy Trinity bear the names Father, Son and Holy Spirit, where the name Son belongs to the eternal Logos of God, Who was incarnate and became man. In Semitic languages where the word for Spirit (Hebrew ruah, Syriac ruha) is feminine, female imagery is applied to the Holy Spirit. Both the Hebrew and the Greek terms for the Wisdom of God (Hebrew hokhma, Greek sophia) are feminine: this opens the possibility of applying female imagery to the Son of God, Who is traditionally identified with the Wisdom. With this exception, for both Father and Son exclusively male imagery is used in the Eastern tradition. The Orthodox normally oppose modern attempts to change traditional biblical imagery by making God-language more ‘inclusive’ and referring to God as ‘mother’, and to His Son as ‘daughter’, or using the generic terms ‘parent’ and ‘child’. For the Orthodox, the full understanding of motherhood is embodied in the person of the Mother of God, whose veneration is not merely a custom or cultural phenomenon, but a church dogma and an essential part of spirituality. It is therefore not a matter of cultural difference between the Orthodox and the Roman Catholics on the one hand, and the Protestants on the other, that the former venerate the Mother of God, while the latter pray to ‘God the Mother’. It is a serious dogmatic difference. Moreover, it is not simply stubbornness on the part of the Orthodox when they reject changing biblical God-language, but rather a clear understanding of the fact that the entire spiritual, theological and mystical tradition of the Church undergoes irrecoverable alterations when the traditional set of the divine names and images is changed. Indeed, any name can be applied to the Divinity, while none can describe it. All names used for God in biblical and Orthodox traditions are aimed at grasping the mystery which is beyond names. Nevertheless, it is crucially important to remain with biblical God-language and not replace it with innovative forms. All names for God are anthropomorphic. Yet there is a difference between biblical anthropomorphism, which is based on the experience of the personal God in His revelation to humans, and the pseudo-anthropomorphism of modern theologians who, by introducing the notion of gender into the Divinity, speak of God as ‘He-She’, or ‘Our Mother and Father’. "When discussing the names of God, we inevitably conclude that not one of them can give us a complete idea of who He is. To speak of the attributes of God is to discover that their sum total is not God. God transcends any name. If we call Him being, He transcends being, He is supra-being. If we ascribe to Him righteousness and justice, in His love He transcends all justice. If we call Him love, He is much more than human love: He is supra-love. God transcends all attributes that we are capable of ascribing to Him, be it omniscience, omnipresence or immutability. Ultimately we arrive at the conclusion that we can say nothing about God affirmatively: all discussion about Him remains incomplete, partial and limited. Finally we come to realize that we cannot say what God is, but rather what He is not. This manner of speaking about God has received the name of apophatic (negative) theology, as opposed to cataphatic (affirmative) theology. "The traditional image of Moses ascending Mount Sinai to God, surrounded in darkness, inspired both St Gregory of Nyssa and Dionysius the Areopagite to speak about the divine darkness as a symbol of God’s incomprehensibility. To enter the divine darkness is to go beyond the confines of being as understood by the intellect. Moses encountered God but the Israelites remained at the foot of the mountain, that is, within the confines of a cataphatic knowledge of God. Only Moses could enter the darkness; having separated himself from all things, he could encounter God, Who is outside of everything, Who is there where there is nothing. Cataphatically we can say that God is Light, but in doing so we liken God to sensible light. And if it is said about Christ transfigured on Mount Tabor that ‘his face shone like the sun, and his garments became white as light’ (Matt.17:2), then the cataphatic notion of ‘light’ is used here symbolically, since this is the uncreated light of the Divinity that transcends all human concepts of light. Apophatically we can call the Divine light, the supra-light or darkness. Thus the darkness of Sinai and the light of Tabor are one and the same. "In our understanding of God we often rely upon cataphatic notions since these are easier and more accessible to the mind. But cataphatic knowledge has its limits. The way of negation corresponds to the spiritual ascent into the Divine abyss where words fall silent, where reason fades, where all human knowledge and comprehension cease, where God is. It is not by speculative knowledge but in the depths of prayerful silence that the soul can encounter God, Who is ‘beyond everything’ and Who reveals Himself to her as in-comprehensible, in-accessible, in-visible, yet at the same time as living and close to her — as God the Person. To indicate the two “poles” of God’s relationship to us —unknown yet well known, hidden yet revealed— the Orthodox tradition draws a distinction between the essence, nature or inner being of God, on the one hand, and his energies, operations or acts of power, on the other. “He is outside all things according to his essence,” writes St Athanasius, “but he is in all things through his acts of power.”12 “We know the essence through the energy”, St Basil affirms. “No one has ever seen the essence of God, but we believe in the essence because we experience the energy.”13 By the essence of God is meant his otherness, by the energies his nearness. Because God is a mystery beyond our understanding, we shall never know his essence or inner being, either in this life or in the Age to come. If we knew the divine essence, it would follow that we knew God in the same way as he knows himself; and this we cannot ever do, since he is Creator and we are created. But, while God’s inner essence is for ever beyond our comprehension, his energies, grace, life and power fill the whole universe, and are directly accessible to us. The essence, then, signifies the radical transcendence of God; the energies, his immanence and omnipresence. When Orthodox speak of the divine energies, they do not mean by this an emana­tion from God, an “intermediary” between God and man, or a “thing” or “gift” that God bestows. On the contrary, the energies are God himself in his activity and self-manifestation. When a man knows or participates in the divine energies, he truly knows or participates in God himself, so far as this is possible for a created being. But God is God, and we are human; and so, while he possesses us, we cannot in the same way possess him. Just as it would be wrong to think of the energies as a “thing” bestowed on us by God, so it would be equally misleading to regard the energies as a “part” of God. The Godhead is simple and indivisible, and has no parts. The essence signifies the whole God as he is in himself; the energies signify the whole God as he is in action. God in his entirety is completely present in each of his divine energies. Thus the essence-energies distinction is a way of stating simultaneously that the whole God is inaccessible, and that the whole God in his outgoing love has rendered himself accessible to man. By virtue of this distinction between the divine essence and the divine energies, we are able to affirm the possibility of a direct or mystical union between man and God—what the Greek Fathers term the theosis of man, his “deification”—but at the same time we exclude any pantheistic identification between the two: for man participates in the energies of God, not in the essence. There is union, but not fusion or confusion. Although “oned” with the di­vine, man still remains man; he is not swallowed up or annihilated, but between him and God there continues always to exist an “I— Thou” relationship of person to person. I hope some of this is might be helpful. Indeed it is, and that is the part that I find a bit strange and quite ironic. In an attempt to say that God is transcendent and beyond knowledge (other than that He is a Trinity), Eastern Orthodox theology assigns attributes to God (that He exists as essence and energies) which indicates knowledge of Him beyond Trinitarian dogma. It breaks the rule that it seeks to establish. Just to turn it around a little - where do Catholics get the doctrine of the Divine Simplicity? Yes. Saying anything about God is by definition saying something about God. Saying 'God is' is saying something about God. But it's not a claim to 'specific knowledge about the nature of God'. I have to assume you didn't read xariskai's extensive post because again you are misstating the Orthodox teaching. Based on revelation, we do assign attributes to God ('God is all-powerful, God is all-knowing') but essence and energy are not 'attributes' and to state that Orthodox theology 'assigns attributes to God' on the basis of that distinction is to completely misstate what 'essence and energy' are. Based on Revelation, we know that God is (i.e., 'has essence') and that He does things (i.e., 'has energies'). That's it. That's the teaching you are claiming is so strange and ironic. There are aspects of the Orthodox teaching on essence ('God is') and energy ('God acts') which Roman Catholics may (or may not, seems to depend on the Roman Catholic these days) object to, but those are, so to speak, further down the line. We're not getting anywhere near the actual objections knowledgable RCs may (or may not) make because your getting stuck on the theological terms for 'is' and 'does' and thinking 'does' is some kind of component of 'is'. I think you're misunderstanding this. We don't postulate to know anything about God's 'being' (which of course is not really being, because God is beyond being and non-being). What we know of God is communicated to us through His energies. We also do affirm that there is a sort of hidden 'being' of the trinity which is beyond all comprehension, and this is what is meant when we say things like God is unknowable and transcendent. To take an example from physicist Michio Kaku (who uses a similar analogy to illustrate the idea of there being more than three spatial dimensions), imagine that you were a koi in a pond. You live in this pond without any awareness of the man who cares for you, by keeping the temperature, pH, salinity and food levels in the pond at an optimal level for your own living. You have a pretty good idea, living in this pond of how the 'natural' world should look, and you with your primitive mind, have formulated an idea of what it means to be. For you, you have complete freedom of movement within the confined space of your pond which is bound by two types of boundaries. One boundary, you notice is quite sturdy, stable and predictable, yet there is also a very strange boundary to your pond (the surface) where the natural laws which you have intuited seem to break down. For one thing, you are capable of momentarily breaking through it, but not capable of ever moving beyond it. It is also occasionally subject to incredibly violent and unpredictable patterns of disruptions (because of rain or the intervention of the caretaker). Imagine that the koi were incredibly perceptive, might he not figure out, because of the interactions (energies) of the human being with the pond and even with the individual koi, that a caretaker lies beyond the surface? Yet at the same time, is it not true, even though the koi intuits that there is some being outside of his pond, that the 'being' of this being is completely beyond his knowledge? Of course this analogy is flawed because a human caretaker and a koi both share in the same type of being (they are created), but perhaps it gives an idea of what we are getting at. God is wholly other, and saying that he is unknown in his 'being' reflects that. God, however, interacts with us in many different ways (energetically) which make Him known to us even though we do not comprehend what exactly He is.